Zoom lenses topping out around 400mm are a popular lot. Canon and Nikon both have 200mm-400mm zooms, with Nikon's coming in around $8700 and Canon's with built in 1.4x teleconverter ringing the till around $16000. Since dying from a price tag induced heart attack sounds like a bad plan, we have also seen optically slower lenses coming in at much more attractive pricing, including Nikon's 200-500 and Canon's 100-400. My business partner and dear friend John G. Moore called my from Glasgow to read me the death notice for my Canon 100-400/4.5-5.6 L II when he first got hands on with Sigma's latest offering. 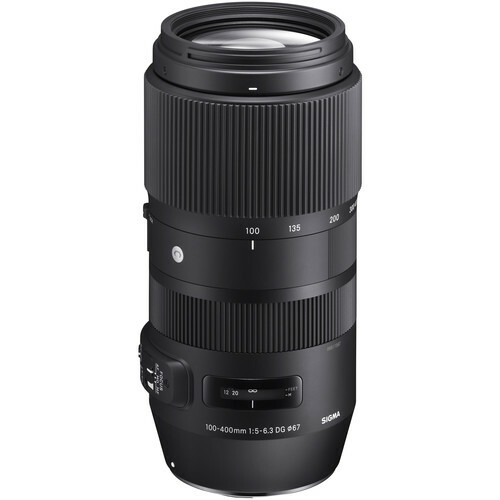 With Sigma already having an excellent lens in their 150-600/5-6.3 in the CONTEMPORARY line for only about $120 more, what is the attraction of the 100-400? The answer is bulk, or more correctly, the lack thereof. Even the C 150-600 is large and heavy, not nearly like the SPORT version, but the extra reach of either probably means a permanent placement on some kind of support. You can definitely shoot the 100-400 off hand without needing Schwarzenegger muscle groups. While the 100-400 is a by default twist zoom, the uniquely styled locking lens hood also enables you to use the lens as a push/pull zoom. I know that push/pulls are unfashionable for some reason, likely the Internet fairy stories of them sucking dust in and out during zooming. A good quality push pull is a joy to use and very fast, faster than twisting a ring, but it appears that there is resistance to letting facts get in the way of a good yarn. In fact, while I love my series II Canon 100-400, I do miss the speed that I had in the original which was a push pull. That the Sigma works either way is just darn smart thinking in my opinion. The Sigma is dust and splash proof and incorporates Sigma's proven optical stabilization system. I confess that I always take claims of how many stops OS can win back. Sigma's system worked in the field, allowing me to shoot slower than 1/400 off hand without losing sharpness due to microshake. If I did my job, and controlled my breathing and grip, I could shoot offhand at 1/60 although I was more confident of consistency at 1/125. Even 1/125 is a benefit to me, because it may mean that I don't have to raise the ISO in unsatisfactory lighting. The Sigma is a DG lens, which means that it delivers a full frame image circle. 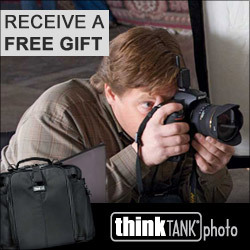 It is available in mounts for Canon, Nikon and Sigma. You can also use it on a crop sensor body so in my case on the Canon 7D Mark II it delivered the look of a 640mm. I could use that kind of reach on the track for motorcycle racing, and also for long shots on the polo field. That the lens is as light as it is, means it swings easily and does not develop a ton of swing momentum, so tracking erratically moving subjects such as birds or figure skaters would be suitable use cases. Sigma has kept the lens small, to the point that it only needs 67mm filters if you use them. Personally, I would have preferred more light transmission to get it down to f/5.6 at 400mm even if it meant a nominal increase in weight and front diameter. Optically it has the same speed as the larger 150-600, and I just like the idea of faster glass. Do bear in mind that this lens changes length as you zoom, so allow yourself space for that when zooming. The lens is very sharp, with excellent distortion control. It has very nice contrast and the AF response is decent on a good body. It was very snappy on the 1Dx Mark II. Given the small size and weight, I would probably be inclined to use one more on the crop sensor than the full frame because of the enhanced reach and because by cropping in, any distortions would be irrelevant. The lens has four SLD elements for aberration and distortion control. It also focuses quite closely very useful for birds and wildlife work. The aperture is a nine blade design and the mount is solid brass. As with most of the new Sigma lenses, it works with Sigma's USB dock for firmware updates and tuning. I do not think that the lens is built near as tough as Canon's 100-400 and while I might use it for rodeo work, I would be much more cautious about how close I got. If your use cases do not include being too close to annoyed bulls or fast moving football players, you may not need to have the same concerns that I do. This is a really fine lens and an excellent value. It's ideal if you want to shoot more handheld than off a tripod or monopod and will be working in situations with decent light, otherwise that f/6.3 at 400mm is going to require an ISO push. I like the dual zoom method very much and really appreciate the attention to detail in the hood design. The price point and the low weight and smaller size will make this a winner in its preferred use cases.